I am homeschooling my son who is 9 years old. He tests in all subjects multiple grades ahead of his age. He has ADHD, high functioning aspergers, and a variety of behavior issues which are rapidly resolving as we continue to home school him. As a college teacher and having been homeschooled as a child, it was important that I find a curriculum that would be adaptable to his intelligence and able to be adjusted in grade based on his needs. He has no specific language or other processing issues. He is an excellent reader but while he can read words rated as high school or college level; his comprehension is something that we always need to work on. The Time4Learning program is available on a website and costs $19.95 per month ($14.95 per additional child) and offers a 14 day money back guarantee, a free trial, and the ability to cancel at any time. Specials are often offered for new subscriptions. The program has been available for more than a decade. The program was originally marketed to be used in a school setting, for tutoring, and specifically adapted for gifted children and special needs. The program offers language arts and mathematics in all grades. Social studies and science are available in some grades. They are adding art modules as of Spring 2011. They offer a writing module for a separate fee. The website markets to the homeschooling parent, as curriculum to be used during the summer, to be used as an after school curriculum to help a struggling child keep up, and because it follows the public school topic requirements, can be used by families who want to give the child a hands up help in getting ready for end of year testing. I was looking for a curriculum that my son could work through on his own and did not require me to be actively teaching hour by hour. 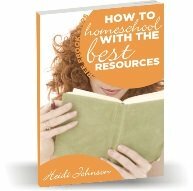 I have substantial health problems and I had been very afraid to try a home school program thinking that my health problems would make home schooling impossible. This program uses a series of activities followed by quizzes and grouped together into lessons with a test. As each activity, quiz, test or lesson is completed, a check mark icon is shown. An arrow points the child to the next activity. The child can choose to jump around between subjects and activities. Time4Learning allows the child to access information at their grade level and one grade behind and one grade ahead of themselves. Parents can request that the child be moved up a grade or back a grade. This allows lots of flexibility and addresses the needs very well of a child well ahead of himself or the child who is behind or who requires extra help. The lessons use a number of interesting and engaging characters and the material can be listened to (in most cases; science for example does not support some audio) and is very visual so this appears to different children's styles of learning. Material can be reviewed and repeated to help reinforcement. The child must score 80% or higher or a quiz or test must be completed. There are 1000+ activities available and this number is counted to include all grade levels from preschool material to middle school. Each of the activities and sections are relatively short so the child is constantly being tested and information is given in bite size pieces and adapts to the child's speed of learning and absorbing the information. The curriculum allows the parent to print off specific worksheets and reinforcements as well as the reports on the child as described above. The curriculum is very comprehensive. As an example for math it covers all five strands; Number Sense and Operations , Algebra, Geometry and Spatial Sense, Measurement, and Data Analysis and Probability. An algebra curriculum is also available for 8th grade at no additional charge and by request. While my son tests in the fifth and sixth grade in most subjects, we decided to let him do an accelerated version at his assigned grade level; 4th. To accelerate, we asked him to complete 3 activities in each subject per school day which based on the worksheet would allow the grade to be completed in about 3 months. I wondered why it couldn't continue to be incorporated to help the auditory learner. What I like most about the curriculum is the pricing flexibility. Some curriculums I looked at required hundreds or thousands of dollar investments and one had an early termination fee of almost $200. I wanted a program that was adaptable for the accelerated learner and appreciated that at the same time it could be adapted to the slower learner as well. My son particularly liked the playground feature on a timer which allows him to play various retro games like pacmac and tetris for a specific period of time after completing a specific number of visits of curriculum. Other things I liked about the program is there is nothing to install; no additional CDs to fumble with and no additional workbooks to purchase or reference. Everything is self-contained. This is especially helpful in our situation because my son can take his laptop to his father's office at the university and be just as comfortable as he is working at the dining room table. I also like that the information is presented in several different ways and is reinforced with regular quizzes. The student can easily review unfamiliar information which is especially helpful if the child is being end of year tested as is required in our state for the home school child as an example. I was looking for a program that would allow the parent to access a record of how the child is doing, their scores, the lessons and quizzes they had completed. This information is easily accessed by logging in on the child' computer or accessed remotely. (Unfortunately if the child is working in the program and a parent accesses it; the child will be knocked off). Information on the lessons and activities completed and test and quiz scores can be printed. This allows me to create a file and reports can be accessed per day, month and year offering a great way to document his learning to a state home school system or if I intended to transfer the child to a school or for college. Since this curriculum is also available in a school setting, there are some features which are not available in the home version. One example is that teachers can assign specific activities or lessons. This feature is not available in the home school program. There is a great series of worksheets which show the total number of activities and lessons for each subject. You can enter the number of weeks you plan on having home school, divide by the number of activities in the subject area, and determine how many activities must be completed per day or per week to complete a specific grade. There is a very active parents forum which includes forums for a specific state so people can discuss specific home school requirements, get in touch with other nearby home schoolers. There are other unique forums for example for special needs or covering specific areas of focus or concern. After working closely with my son in using the materials, I feel that the program on its own is not sufficient to fully cover a particular topic. This is especially true for social studies and science. We have chosen to purchase crayola physics; make use of a number of hands on science experiment kits and materials. For example for math, I found that some of the material on the topic of line segmentation was very limited and my son struggled with the quiz because not enough information was presented. I think that supplementing the material with a grade appropriate textbook or workbook or reviewing a website such as www.mathisfun.com will help reinforce particular material and use of specific website material to print out free worksheets especially to cover topics that the child is not grasping. There are so many resources on the internet that can be used across any subject to enhance the materials as presented. There is a social studies segment which covers history but it leaves many holes. We have chosen to supplement this learning with the use of historical fiction, books on history specifics that are age appropriate and taking the same tact with science by supplementing with crayon physics just as an example. The parenting forums are active and I carefully reviewed the forums as part of my review before deciding to settle on this curriculum. The material is geared to a public school or secular setting. It does not cater to a religious point of view in any way. I found with T4L my children were able to be a little more independent with their studies and me not having to hover over them. I also agree with you on the the audio reinforcement subject. My one daugher needs that so what I did was download the free natural reader that they recommended. My daughter will read some then have it read to her on others parts. To help reinforce some of the things she learns I have her play some games that pertain to it. I am using T4L too! I just started using Time4Learning myself with my kids. Even thou I have purchased this program I was still a bit nervous about its quality. After reading your article I feel a bit more assured and now know where areas I should be looking out for. So Thank you for such a detailed post. As far as the "Religous" aspect or lack of, This never bothered me as I do not believe a school curriculum needs this. I am more then capable of supplying a separate curriculum for this and teach all on my own. I mean that is what sunday school is for am I right?